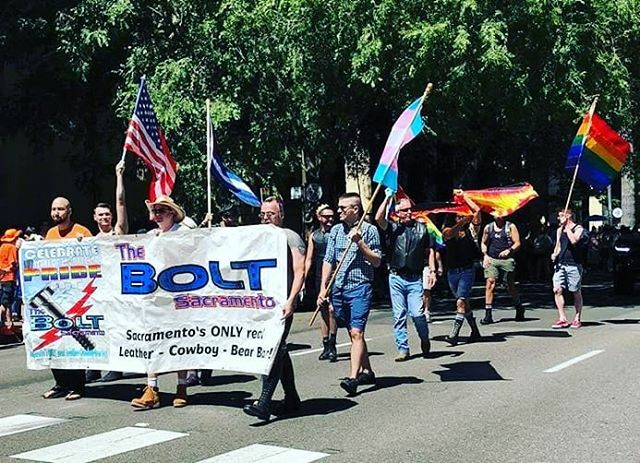 I was very proud this year to march with Sacramento’s Bolt Bar, a gay alternative bar which is a big participant in the leather and fetish communities in the Northern California area. The Bolt also hosts an annual Mr Leather competition whose winner goes on to International Mr Leather. I carried the Trans pride flag. 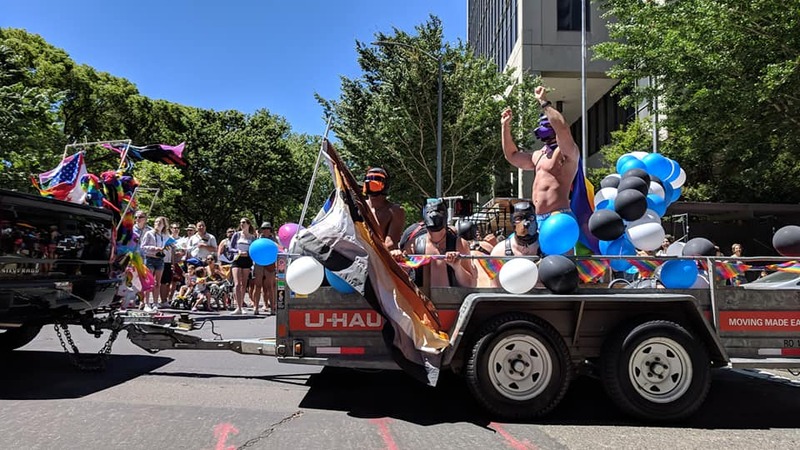 This is an important and underserved group in the gay community. I am proud to do my part to support them as an ally..